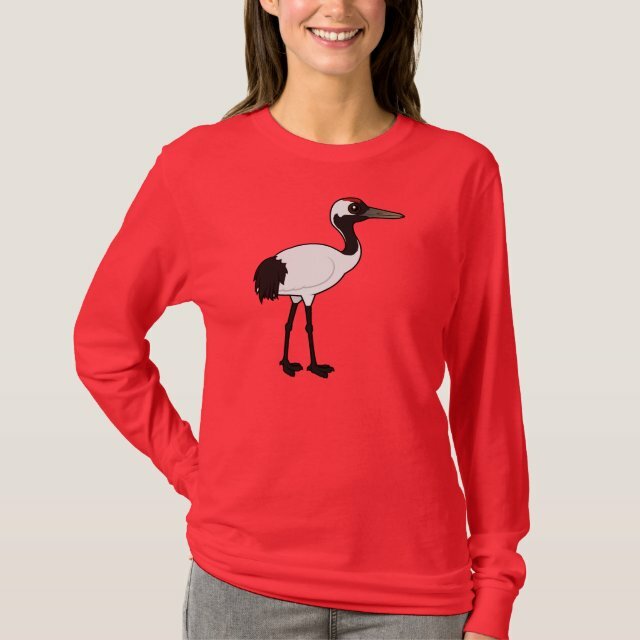 Red-crowned Cranes are large white and black cranes found in Asia. They are also called Japanese Cranes. You can customize this gift! Move the bird around, change the background color or style, add text or images -- make it your own! Comfortable, casual and loose fitting, our long-sleeve heavyweight t-shirt will quickly become one of your favorites. Made from 6.0 oz, pre-shrunk 100% cotton, it wears well on anyone. We’ve double-needle stitched the bottom and sleeve hems for extra durability.